★ Super Mario 3D World. ★ Donkey Kong Country: Tropical Freeze. ★ The Legend of Zelda: The Ocarina of Time 3D. ★ Donkey Kong Country: Returns 3D. 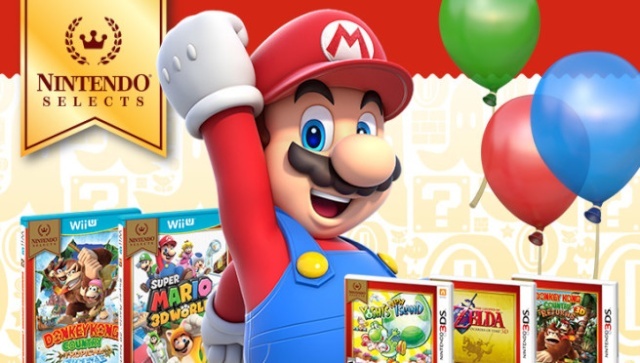 ★ Mario Party: Island Tour. ★ Super Mario Galaxy 2. ★ Animal Crossing: City Folk. As said, we've been working in the games industry since early 2000, making us dinosaurs, old farts, grandfathers or whatever you want to call us. This is great, because we've got a lot experience, but it also means that we act like a typical grandfather: slow and totally unaware of what is hot and what is not. Don't get us wrong: we absolutely love making games, and we strongly feel that we're good at making them. However, ask us anything about new industry developments, and often a big question mark will appear above our heads. For example, we are used to working with our own proprietary engine. It's technology that works great for us, but is by no means competitive with tools like Unity or the Unreal Engine. And then there are monetization strategies like free-to-play. We only know, and feel comfortable working with, the traditional model of full-priced games. The same goes for marketing: we know how to make a decent trailer and send out a press release… but have no clue how to get traction on YouTube and Twitch. Long story short (grandfathers like to digress! ): when running a company, you need to be on top of your game, not just in terms of the product you're making, but business-wise too. And we just aren't on top of the games business anymore. Therefore, it makes sense to focus our attention elsewhere, perhaps even outside the games industry. We simply don't know yet; but we do know that RIVE is going to be our parting gift to you and we're making damn sure it's going to be an awesome one! It's such a shame that such a longtime competitor in the indie scene is calling it quits, but such is life, we wholeheartedly wish their team the best in their future endeavors! Detailed Overview wrote: Aksys Games and LookAtMyGame proudly announce that Chronicles of Teddy: Harmony of Exidus will be available for digital download on the PlayStation®4 computer entertainment system 3/29/16 and Wii U™ 3/31/16. Action adventure RPG elements fuse together with lavish visuals to create a nostalgic world unlike anything you've seen before. Navigate your way through hordes of nefarious monsters and massive boss battles in retro pixelated 2D glory! Solve puzzles, converse with locals and gain skills to restore hope to the once peaceful Exidus. Hidden items, secret areas and bonus quests round out the 30+ hours of gameplay! ★ Four Magical Realms – Explore an enchanted nexus of worlds never before imagined! Collect magical tomes to gain access to new areas and further the narrative! ★ Bring on the Bad Guys! – Giant bosses and vicious monsters will test your might as you fight to save Exidus. - Develop your skills and adapt your tactics to gain the edge over evil! ★ Musicom – Communicate with monsters and villagers by collecting runes and mastering their arcane language! ★ A Trove of Treasures – Bonus unlockables, secret items and extra quests add extra depth to the gargantuan journey before you! We'll let you know more about the game and will reach out to the developer for a potential developer's interview, in the weeks ahead! ★Promotion: Loyalty Discount - Save 15% if you own the original Mutant Mudds or downloaded the Nindies@Home Preview demo - offer available for first 30 days of launch. The game will also boast over 40 new stages and 20 secret characters! 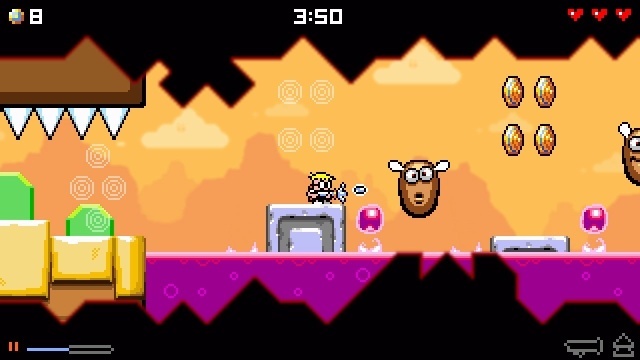 The game will also be introducing boss fights to the already brilliant Mutant Mudds gameplay formula! 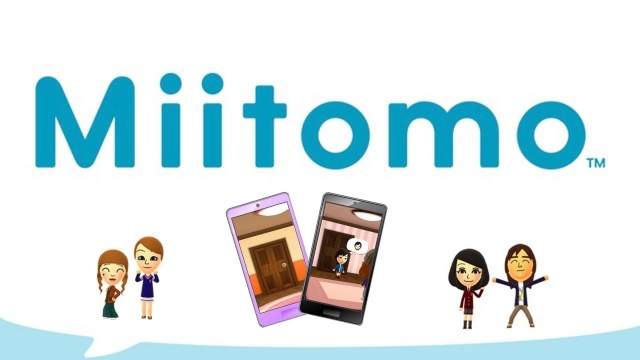 Nintendo of Japan has announced that their mobile social media app Miitomo will be launching in the region on March 17th! We'll be sure to let you know more information regarding the app itself once it releases in Japan and we have a better understanding of how the app will work! What did you think of our first weekly e-zine? Be sure to let us know and of course discuss about the various news stories in our comment section below! Re: WiiWareWave Weekly Edition: Volume 1 - March 11th of 2016! I like this new format a lot. Excellent work! Farewell @TwoTribes you'll be missed. This is a great way to share news! @KingreX32 Could you please make a mock magazine image for this weekly exclusive feature? Something that looks professional! Add the image, as well as the description of what this exclusive feature is all about in the page listing all of our exclusive features. We'll need a similar image and description for the WiiWareWave Weekly Edition: Nindie Midweek Indies feature that will go live every Tuesday morning at around 12:00 AM PST. I love the new format @Ichigofan! Nice feature, but what happened to this week's article?